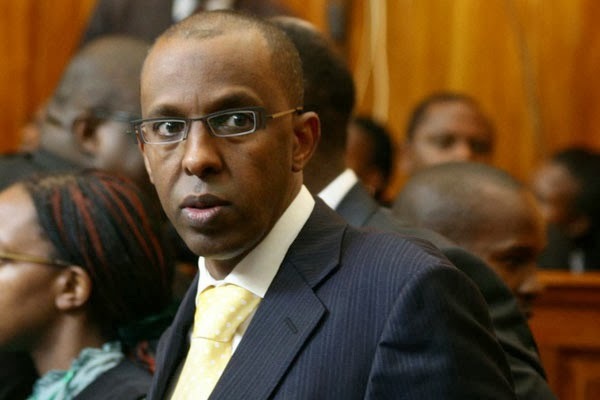 Counsel Ahmednasir Abdullahi, the Grand Mullah – who tells it as it is – has told off Deputy President William Ruto over his remarks recently calling on the courts not to give bonds to suspected terrorists in custody. “[Deputy President] Ruto says accused in terror cases should not be released on bond. He was released on bond in Kenya and Hague on crimes against HUMANITY”. Â Emphasis his. The Judge said this and I quote, â€œ Judiciary is being accuse of acquitting criminals and unleashing them to society. Since I do not know if the critics have any specific cases in mind which they have not disclosed, I do not want to dismiss those complaints off hand. BUT what I know is that courts acquit persons if there is no evidence against them. For Godâ€™s sake let our leaders not lose sight of the fact that judicial officers are citizens of resident in this country who, like anyone else are vulnerable to criminal attacks. As matter of fact a magistrate was recently killed in Nairobi and others have been killed in the past. I cannot therefore image how a judicial officer can acquit an accused person against them whom sufficient and credible evidence has been adducedâ€. The judge did not stop there. He turned to Police shoddy work. He said, â€œ The Case before me is not an ordinary murder case but one relating to post-election violence which, as I have pointed out brought this country almost to the brink of precipice, and coming at the time when allegations are rife that courts are unleashing criminals to the general populace, I have to pint out the SHODDY POLICE INVESTIGATIONS in this case so that blame is placed where it belongs. Call it a blame game or what you like but that is the truth of the matterâ€. He added, â€œ Given the importance of this case and for the benefit of the public I wish to state a truism in our criminal jurisprudence: out of 100 suspects, it is better to acquit 99 criminals that to convict one innocent person. Because of that our law requires that for a conviction ( my addition even for denying someone Bail) to result the prosecution must prove beyond reasonable doubt the case against an accused person. That is why many suspects are released. Courts therefore decide cases on evidence as by law required. If they fail to do that the critics will be the first ones to lambaste them with allegations of incompetenceâ€. In conclusion, the judge said, â€œIn this case, without placing any evidence on record, the prosecution wants me to find that the Accused had a common intent with the murderers of the deceased and were part of that joint enterprise. That cannot be. Our SECURITY AGENCIES HAVE TO DO THEIR WORK AND DO IT PROPERLY otherwise our people will be despondent and will take the law into their own hands as is already happening in some parts of the country. And the consequence of that is: total anarchy. If there is any problem in the police force like not being adequately facilitated to combat crime(professionally), that issue should be urgently addressed otherwise we will continue crying foul and crime will continue soaringâ€.